The area in southwest Ireland – West Cork and much of Kerry – has over 100 prehistoric stone circles. What was the purpose of these circles and how were they used? One can only speculate. 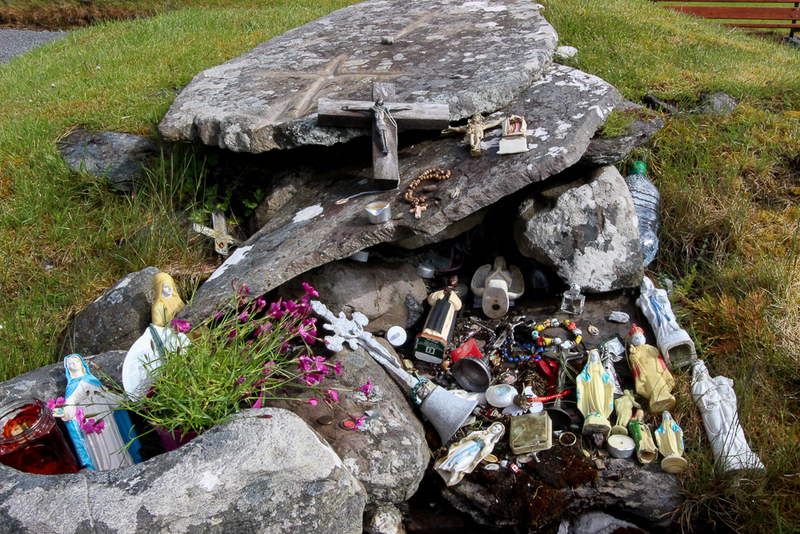 Reading the seasons, sacred worship, sacrificial offerings, astronomical clocks, burial grounds … these are just some of the uses the pre-Christian people of Ireland had for these stone circles. But there’s much more about the circles we still don’t know. The circles in this region all have an odd number of stones. 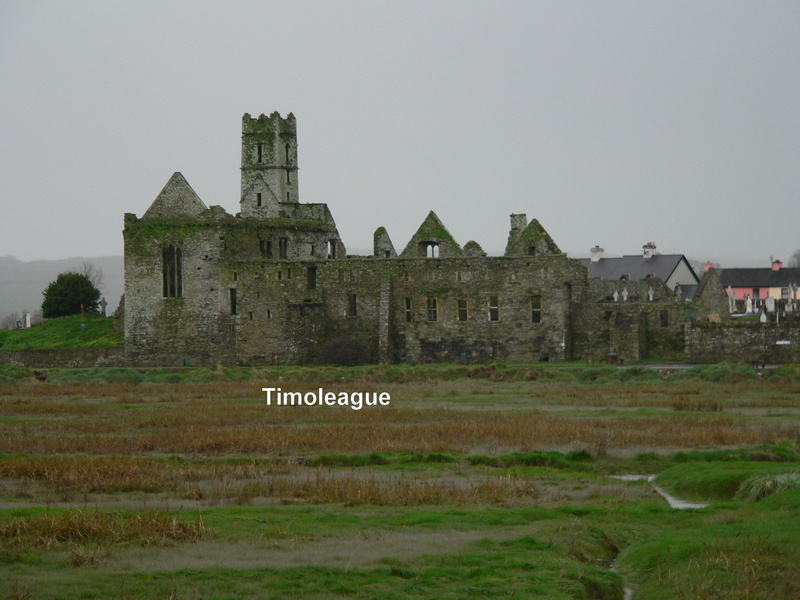 Drombeg has 13 – but it originally had 17. Most of the Cork / Kerry circles follow a specific astronomical orientation, having an axial stone (usually a lower, shorter stone in the circle) on the western edge opposite a set of entrance or portal stones (usually taller) on the eastern edge. The axial stone is also called the recumbent stone. 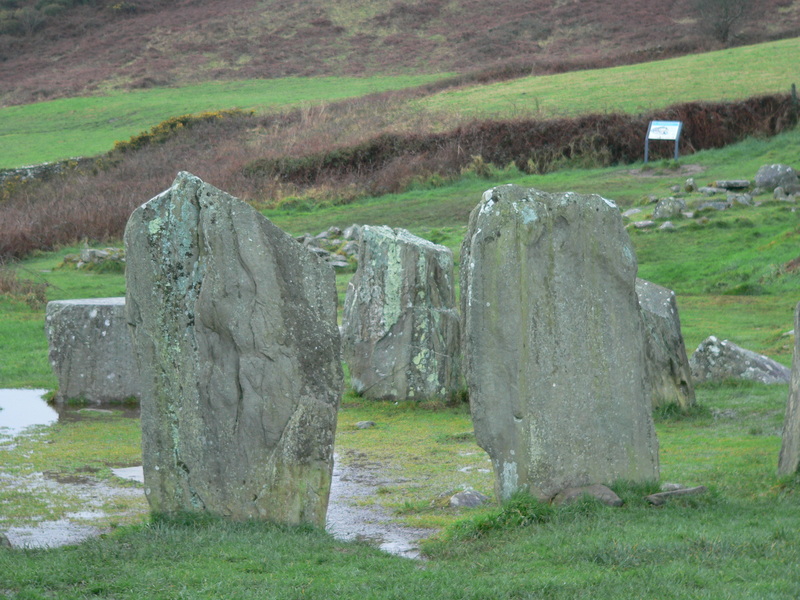 In the photo above, the two portal stones are in the center of the photo and the lower, axial stone can be seen between them on the opposite side of the circle. You can barely see the little notch in the hills behind the circle, but the hills define a sort of “V” on the horizon. On the winter solstice (Dec 21 – the shortest day of the year), the sun dips just under the ridge of that V in the hills, but as the earth moves the sun comes into the V in near perfect alignment with the axial and entrance stones – shooting its concentrated rays directly across the center of the circle. Accounts by people who have seen this process state that it looks as if for a few moments, the circle itself is illuminated independently of the surrounding landscape. Why would this process have been important to these ancient people? Excavations around the site back in the 1950s showed buried human cremated bones near the center of the circle coupled with broken pottery shards and stones. There were other burial pits near the circle with the same combination. Oddly, the shards of pottery and the stones seemed to be as revered in burial as the human bones. Excavation also proved that the plateau where the circle rests (Drombeg means “small ridge”) is man made. The people who built this circle evidently leveled the land – or ridge – to affect the perfect winter solstice drama that occurred in the circle during sunset. 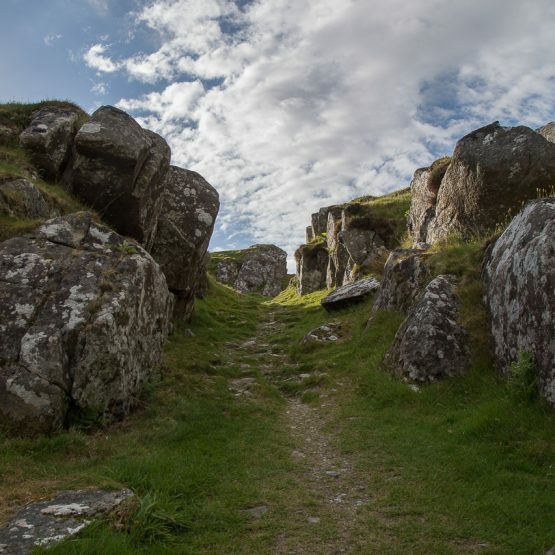 In the same complex, near the stone circle are the remains of two prehistoric huts that were probably used for cooking – what we might call a “commercial kitchen” today. One of the huts had a capacity to boil about 70 gallons of water. 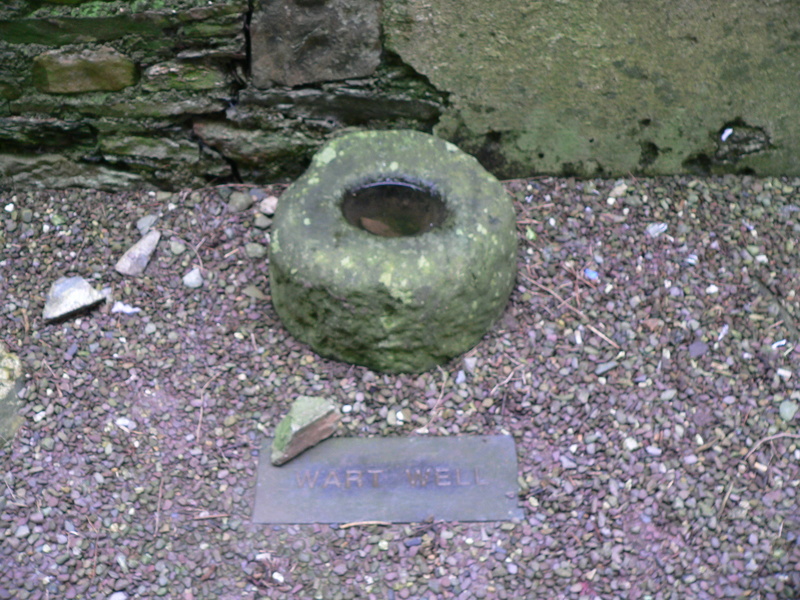 Hot rocks from a fire were placed into a rectangular stone basin and within 20 minutes the water would come to a boil and remain hot for about 3 hours. This was probably how the ancient people boiled their meat. 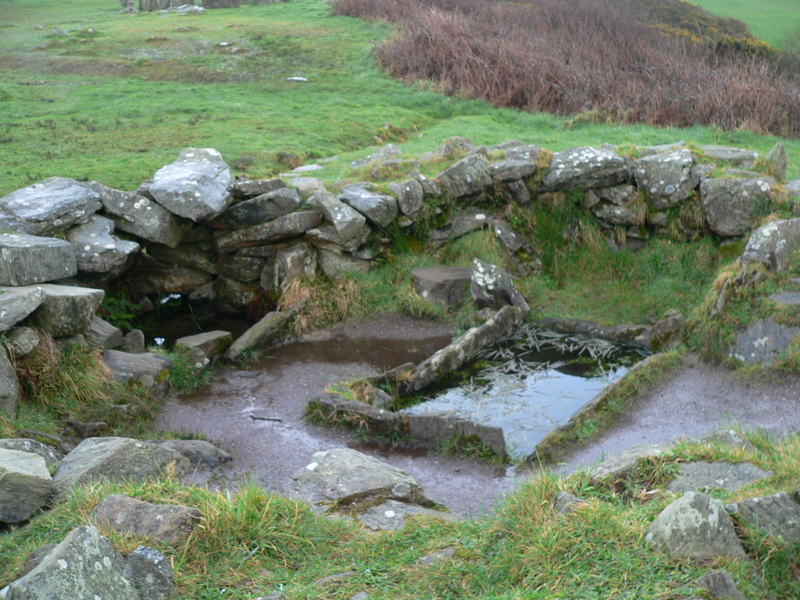 Remains of what was probably an oven are in the second circular hut. This tells us that the area wasn’t just a place to read the seasons or practice sacred ritual. The circle would have been a place of community. The Drombeg complex is located between Skibbereen and Kinsale, and is easy to access with parking relatively close to the site. My first visit to Drombeg was in February of 2007. It was a cold, dreary, rainy day. I arrived tired. It was my last site of the day. The time was 5:00 pm. As I approached the site from the car park, I was unimpressed at first. The site seemed to have no sense of place. In fact, save for the shadows from the stone circle, the site looked like another farm field with houses nearby. But as I walked into the complex and took in the surroundings, the place became magical. This is a site worth visiting. Take some time to gather your senses about you and notice everything about the surroundings – the distant hills, the views of the sea, the sounds, the light, the stones themselves. Then when your sensitivities are peaked, enter the circle through the Portal stone entrance. The following is from my travel journal which is mostly transcribed recordings of impressions I dictated into a digital recorder during the visit. I take back what I said about this site being unimpressive. The stone circle is beautiful. It’s in a big clearing where the entire valley just unfolds as you approach the circle. And there are views of the sea – the Celtic Sea. There are hills and hills of green. Expansive sky. It’s a big wide area. It’s a beautiful stone circle. The stones are thick and tall. Walking through the entrance of the Drombeg portal stones is pretty powerful. You walk in through the center and you can feel it. There’s just something sacred about the center of the circle.. I noticed the axial stone had two notches. There is energy here. Old energy. Ancient energy. Drombeg Stone Circle is a very thin place. 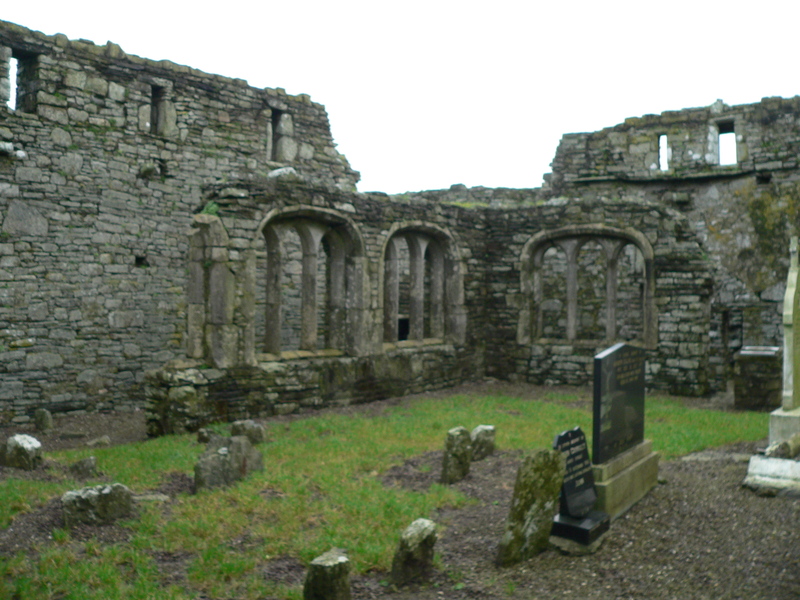 It is one of the stops on the Thin Places Mystical Tour of Ireland – May 15 – 24, 2011. Full Tour Itinerary. Make your reservations today. 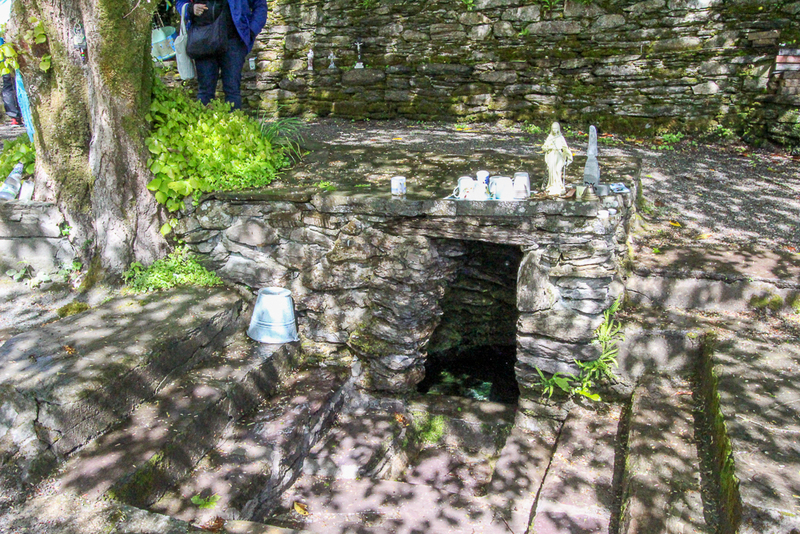 Abbeystrewery Cemetery in Skibbereen. 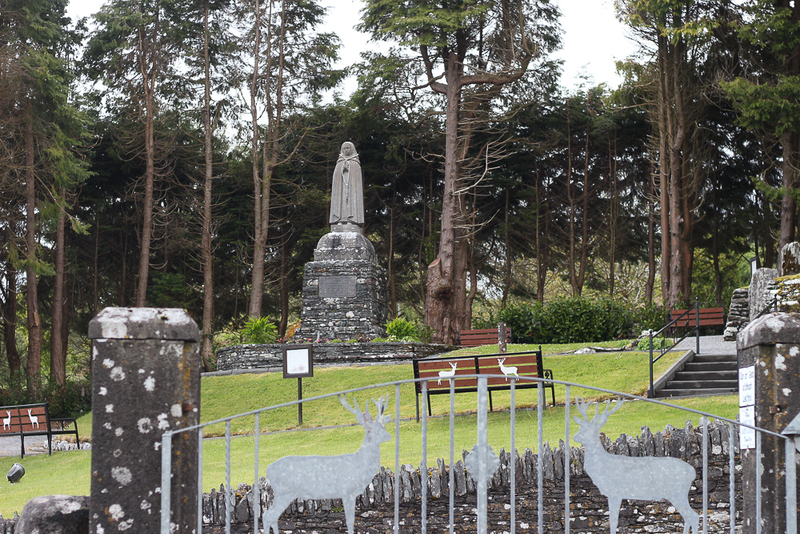 8000 – 10,000 victims of the Great Hunger are buried here. Skibbereen was a hub of commerce in southern Ireland during the nineteenth century, with the River Ilen flowing through the town ending at the Baltimore Harbour near the Atlantic Ocean. 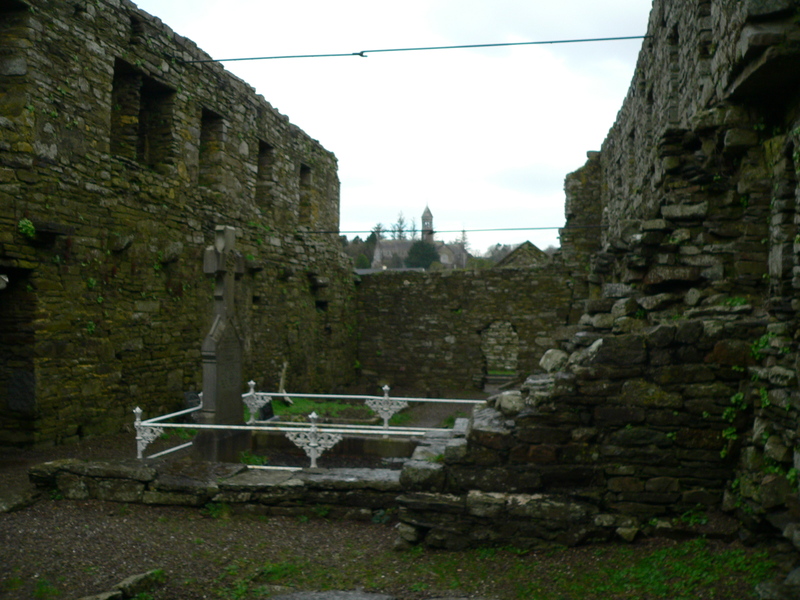 But Skibbereen is perhaps most famous for its association with the Great Famine that hit Ireland hardest in 1846-47. The song Skibbereenwith a haunting melody and lyrics that tell of a father recounting to his son the cruel reason why he left his beloved homeland “old Skibbereen,” – he lost the farm, the house, and he lost his wife to hunger when the boy was but 2 years old. So the father fled with the young son wrapped in his coat – never to return for fear of being imprisoned for the debt he owned in taxes and rent. County Cork was one of the areas in Ireland that lost over one third of its population to the Famine in those years. 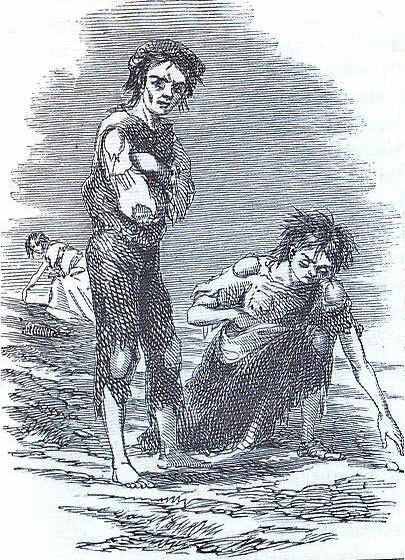 History states that the Famine occurred because of a failure in the potato crop in Ireland. The Irish were under British occupation at the time. Rich landlords controlled the country, though they were a small portion of the population. Most of the population served as tenants to these landlords, and suffered from high rents and taxes. Poverty ran deep in the tenant class, which used the potato as the main staple of its diet. When the crop failed, panic set in. The Irish sold what they had, including boats and fishing equipment to feed their suffering families. One in three people died in the area surrounding Skibbereen. Most concur that there was plenty of food in Ireland – plenty enough to feed the starving citizens. But the food was exported for profit that was made by the British government and the Anglo Irish ruling class. 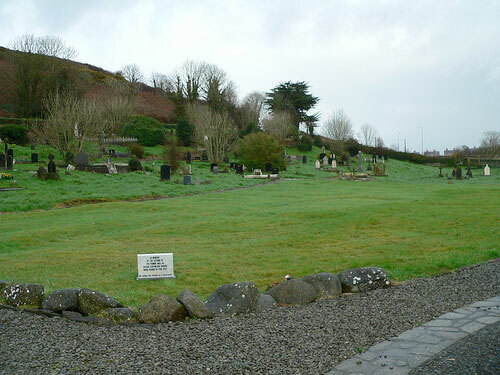 There is a commemorative Famine trail that begins at the town center and includes the Skibbereen Heritage Centre and the Abbeystrewery Cemetery (pictured above). 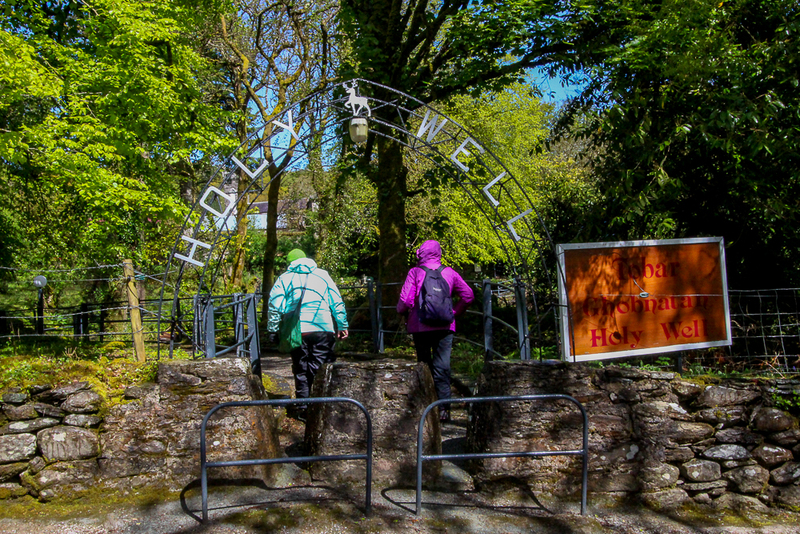 The artistic renderings of stone cutters and poets that dapple the cemetery grounds with tokens of remembrance are worth a trip to Skibbereen. So much sorrow here. One can’t helped but be moved. Skibbereen is a thin place. And it is a stop on our Thin Places Tour in September 2010. Flickr slide show of Skibbereen cemetery.